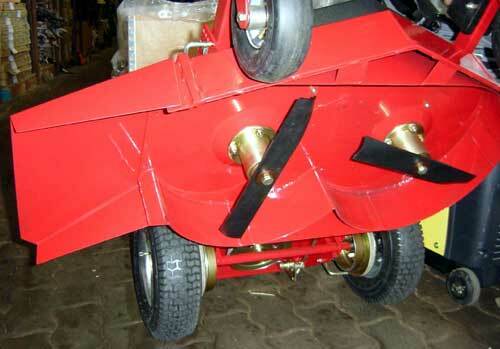 As standard equipment this rotary mower has mounted 2 lawn mower blade. 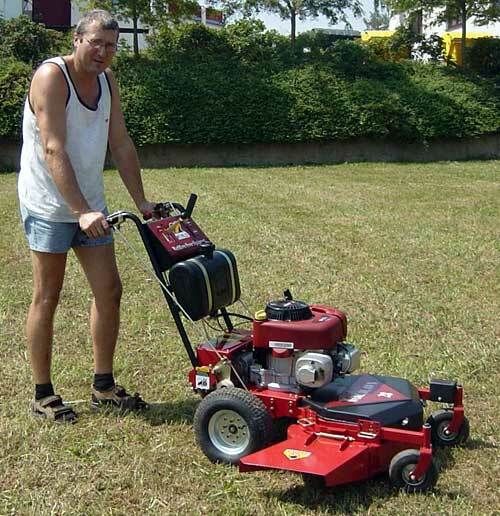 Thus, it cuts the grass cleanly and thus provides a clean cut. The mower is equipped with a 9 PS engine from Briggs & Stratton. Briggs is the world's largest manufacturer of small engines. A brand engine with a long life. The 9 PS engine is very abundant dimensioned in relation to the cutting width. With the 3-speed drive system, it goes through thick and thin. The most important technical details of the mower is 2 steering brakes - so you can easily direct the mower to the right or left with a slight pressure on the steering lever. The steering brakes can also be used in the slopingly area as a brake.